The following are just a handful of good places in South East England in which to look for orchids - there are myriad other locations to explore, and orchids often crop up where you least expect them. For more suggestions, take a moment to visit the Wildlife Trusts' website (see Useful Links) and use their interactive map to explore their reserves near to you. The best place in Britain at which to see Lizard Orchids. A chain of unimproved hay meadows that host a multitude of Green-winged Orchids. One of the finest colonies of Early Spider Orchids on the south coast. 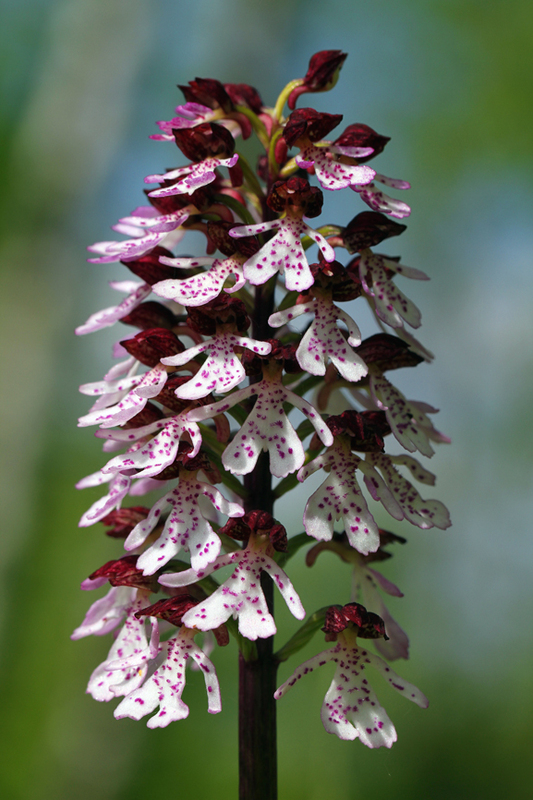 A woodland site containing a good selection of orchid species, including Common Spotted, Early Purple, Fly, Greater Butterfly and Lady Orchids. Arguably one of the finest chalk grassland habitats in England, with over a dozen orchid species present, including thousands of Musk Orchids. A sloping site of particular interest as one of only three locations at which Monkey Orchids may be found in Britain. The best site at which one may see Military Orchids; also has good numbers of Fly Orchid.